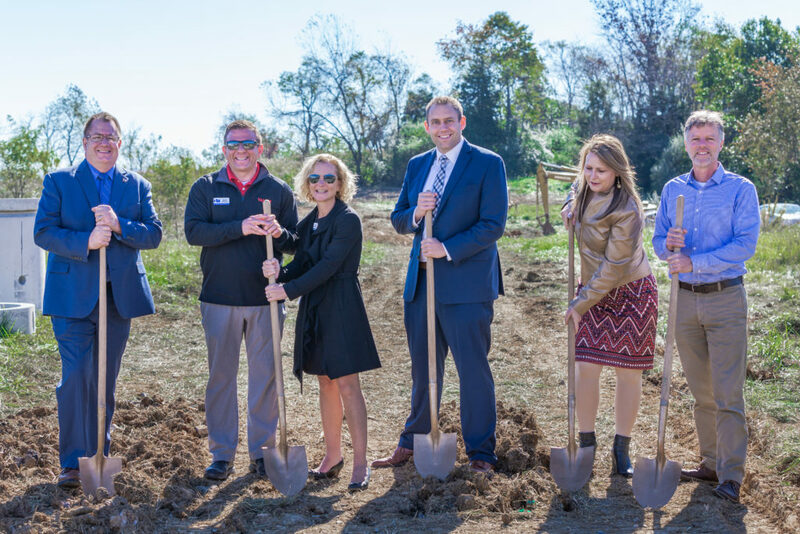 On Friday, October 19, CMA celebrated the groundbreaking of our new, state-of-the-art facility for CMA's Valley Chrysler Dodge Jeep Ram. The new building will be 30,000 square feet with an expansive showroom, a new customer café, and 19 service bays with ASE and OEM Certified technicians and the latest automotive technology. To accommodate this growth, CMA's Valley Chrysler Dodge Jeep Ram will also be hiring sales, parts and service staff. Carter Myers Automotive (CMA) already employs 170 people in Staunton across five dealerships. CMA has a unique Employee Stock Ownership Plan, which means employees share ownership, and thus share in the company’s success. The new CMA's Valley CDJR will be located at 348 Lee Jackson Highway in Staunton, VA, immediately south of its current home, next to and across from its sister stores: CMA's Valley Honda, CMA's Valley Nissan, CMA's Valley Subaru and CMA's Valley Volkswagen.